Taking Advanced B-12 Complex means that I don't have to add a Complex B to my regime. Combining Advanced B-12 and B-6 helps me offset the drug mugging affects of my diabetes meds. Source Naturals brings you the Advanced B-12 Complex™ 5 mg 60 Tablets that may help your body with normal growth‚ myelin and nucleoprotein synthesis and in the formation of the red blood cells. 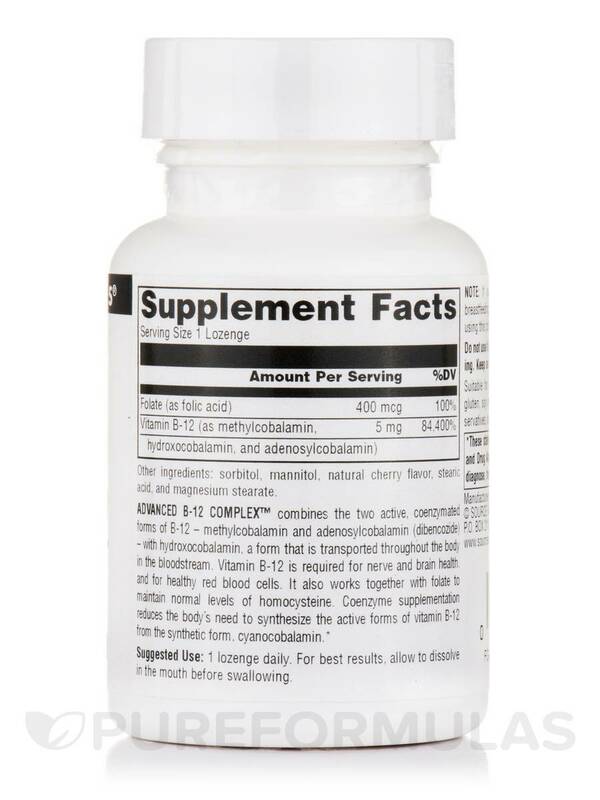 This Source Naturals formulation contains Vitamin B12 in two active and coenzymated forms - methylcobalamin and adenosylcobalamin (dibencozide). Certain studies suggest that our bodies require an adequate amount of vitamin B12 in order to continue maintaining the healthy function of our brain and nervous system. 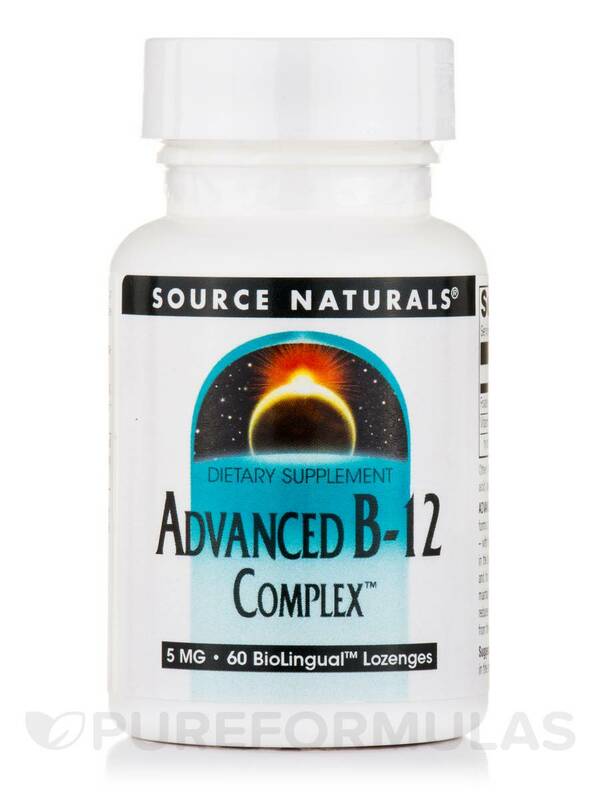 Now the reason why advanced B-12 Complex™ from Source Naturals may be so beneficial is because if we aren’t getting enough vitamin B12 from our diets‚ this supplement may be ideal for potentially ensuring proper B12 levels. Vitamin B-12 deficiency may cause symptoms such as fatigue‚ low mood‚ cognitive issues‚ and more. The Source Naturals supplement also contains Folic acid‚ which may play a number of crucial roles in the body. 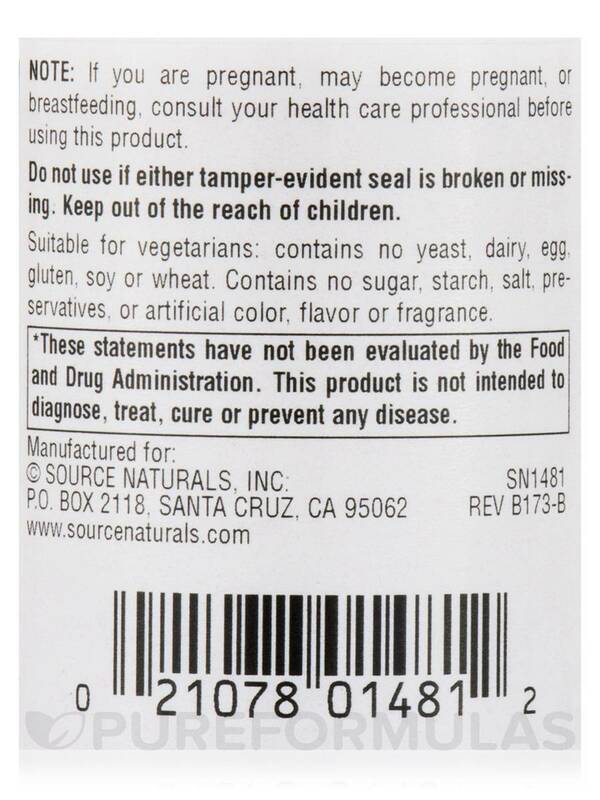 This supplement from Source Natural is free of yeast‚ dairy‚ soy‚ egg‚ gluten‚ wheat‚ starch‚ salt‚ preservatives‚ artificial color‚ flavor and fragrances. 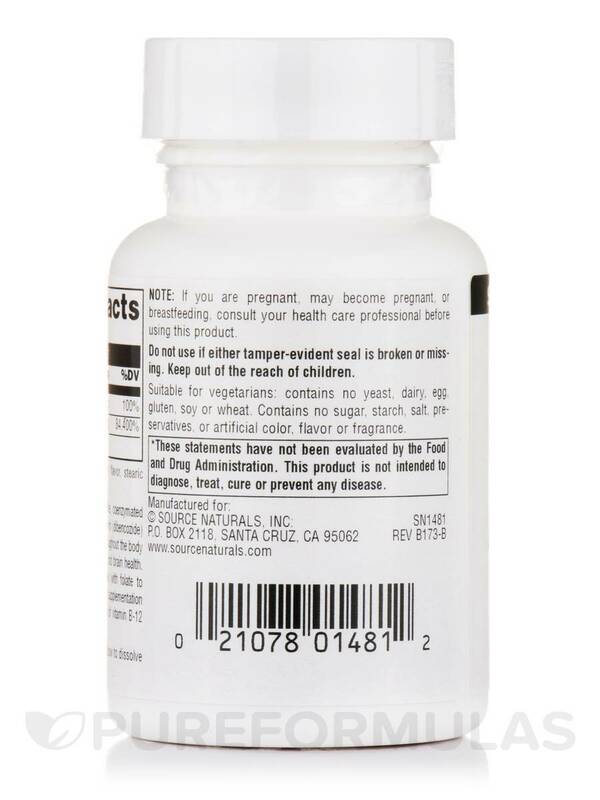 Use the Advanced B-12 Complex™ 5 mg 60 Tablets from Source Naturals daily to help your body with myelin and nucleoprotein synthesis along with cell reproduction. Other Ingredients: Sorbitol‚ mannitol‚ natural cherry flavor‚ stearic acid‚ and magnesium stearate. Suitable for Vegetarians: Contains no yeast‚ dairy‚ egg‚ gluten‚ soy‚ wheat‚ sugar‚ starch‚ salt‚ preservatives‚ or artificial color‚ flavor or fragrance. 1 lozenge daily. For best results‚ allow to dissolve in the mouth before swallowing. I love Advanced B-12 Complex! 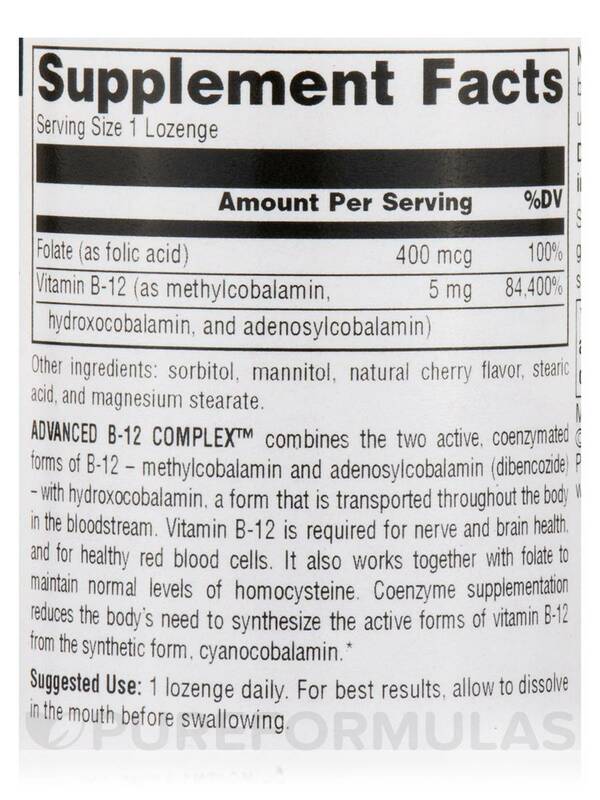 Advanced B-12 Complex by Source Naturals in combination with B-6 has helped with the nerve pain in my legs and feet. It is easy to take, just let it melt under your tongue. Love the fact that is a sublingual that melts in your mouth and has a very pleasant taste.